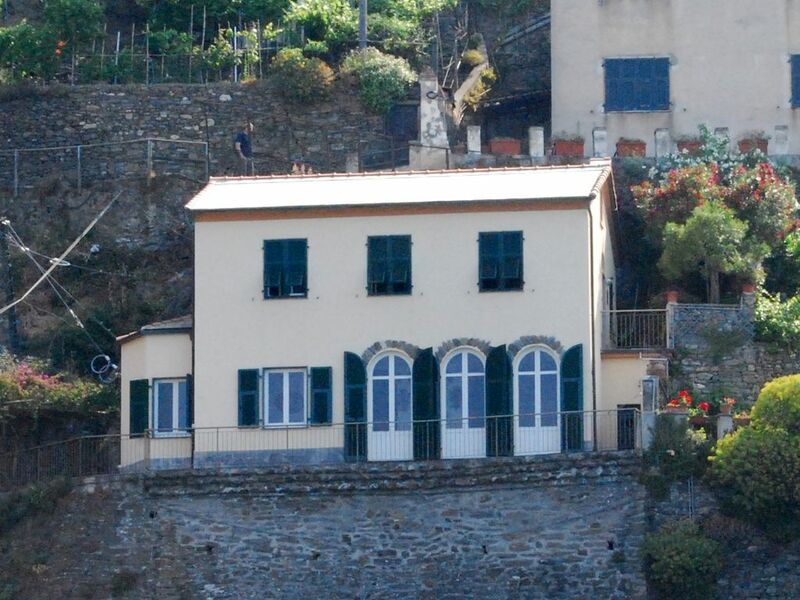 The Convent of the Cinque Terre is a beautiful two-story villa with sea views at the beginning of the path that leads from Vernazza to Monterosso. Located in the Park of the Cinque Terre that Vernazza is the undisputed pearl. The Convent is the jewel of Vernazza and its sea view rooms look the marina, the Doria Castle, the tower and its beautiful 'beach' of rocks. A short walk from town and the sea is the ideal place to spend a relaxing holiday. Bedrooms and living room: Four double rooms. Living room: Beautiful living room with dining room and living room. Wi-Fi & A / C in all bedrooms. Read and understand the rental policy by our PDF. You can use salt, coffe, sugar etc...just refill them in case you finish them. Read the rental policy from our PDF. Best view in all of Cinque Terre! Thank you Luca for making our stay in Vernazza very special! We couldn't believe the views and your home and hospitality was simply beautiful! It's a beautiful house in an incredible location. The views couldn't be better. its all about the view. it is amazing and you cannot get tired of watching the view day or not. we used the small deck as much as we could and every afternoon we were there for one week watched the sun set.the track is just at the back of the house which is handy. you do have to walk alot of stairs but you do get use to it and it didnt worry us. you can pay 4 - 5 euros to get your suitcases up or down the stairs. it was easy to get the keys and all communication was addressed very quickly. but even though it didnt ruin our stay there is a few issues. the stairs are dangerous as they are black and should be painted a different colour as it is hard to see at night. there is an iron but no board. no toaster. the bedrooms need more storage. we had a bedroom spare so we all put our suitcases there as we couldnt fit much in our rooms. more clever storage needs to be done. but overall the location is just perfect and the house was clean. The house has a stair that leads from the first level to the one underneath, it is made of lavagna stone which is one of the most common and though used stones of the area. Both at the top and the end of the stair there is a switch on the wall for the light downstairs so that you don’t walk in the dark. As stated in the Ad and as it can be seen in all the pictures the all Villa resembles a real convent in all aspects: small rooms, common wardrobe in the corridor, common dining room and living room. Normally when we use it as a family house for our 2 weeks we put our big luggages under the bed storing the most useful things in the closets of the room or using the hangers that we placed in every room, i know it is a “sacrifice” not to have all clothes in a handy position, but it works well even though. For the same reason we do have an iron board inhouse but not at see. So if you ever need it just let us know and we will tell you how to reach it. The Convent of the Cinque Terre is a beautiful two-story villa at the beginning of the path that leads from Vernazza to Monterosso. Located in the Park of the Cinque Terre that Vernazza is the undisputed pearl. The Convent is the jewel of Vernazza and its sea view rooms look the marina, the Castello Doria, the lookout tower and its beautiful 'beach' of rocks. Wifi. A / C in the bedrooms. Leggere bene la politica di affitto dal nostro PDF.